Congratultions to tour winner Stephanie D. and to host winner Romance that's 'Out Of This World'. 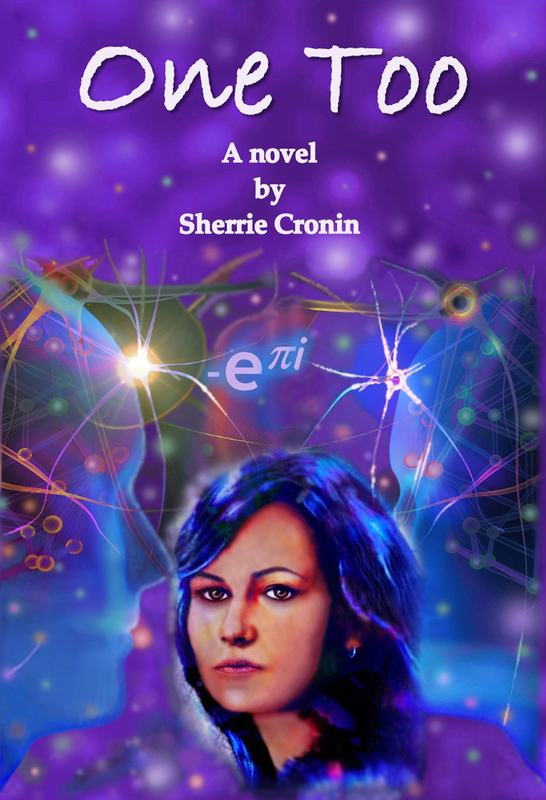 Goddess Fish Promotions is organizing a Virtual Excerpt Tour for One Too by Sherrie Cronin, a Science Fiction/Fantasy available December 15, 2017 from Cinnabar Press. The tour will run December 4 - 22, 2017, and this tour will not include interviews or guest blogs; however, a blurb, exclusive excerpt and author bio will be provided to every host for inclusion on their blog. If you would like to review this book, please see the Reviews Only Tour, here. Sherrie will be awarding a $25 Amazon or B/N GC to a randomly drawn winner via rafflecopter during the tour, and a $10 Amazon or B/N GC to a randomly drawn host. Laurie's Paranormal Thoughts and Reviews can host Dec 7th. I would love to host on 12/05 on Fabulous and Brunette - thanks!! I can host on Sharing Links and Wisdom on December 21.